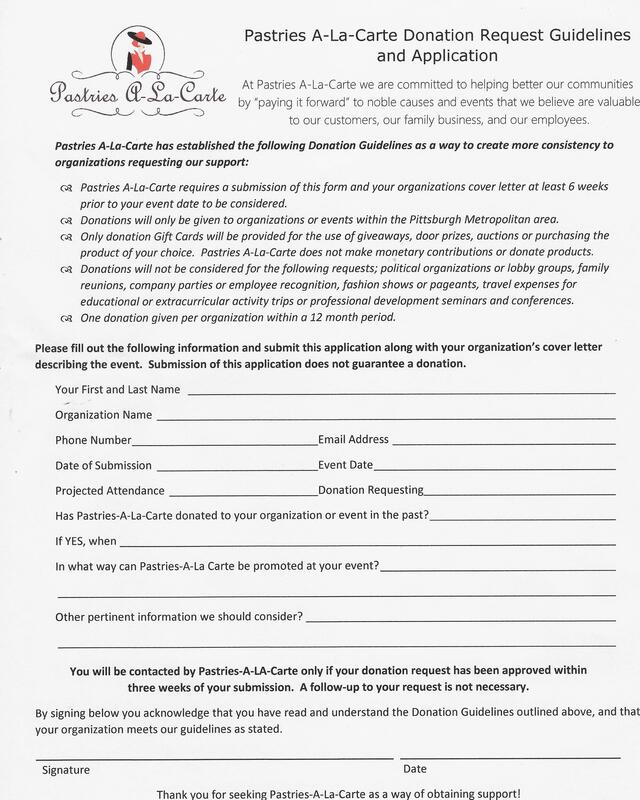 At Pastries A-La-Carte, we are committed to helping better our communities by "paying it forward" to notable causes and events that we believe are valuable to our customers, our family business, and our employees. If you would like to request a donation, download and complete the guidelines and application for consideration. Call 412-653-2236 to place an order.